This magnificent circa 1910 home is distinguished by the refined grace and character that comes only through the passage of time. Lovingly owned by the same family for more than 60 years, the classic Colonial architecture is exemplified by shingled siding, traditional window shutters, and an impressive peaked portico. Inside, extensive crown moldings and fine hardwood flooring recall the home’s early heritage, while generous expanses of true divided light windows fill the rooms with natural light. Beyond the formal living room and dining room, a spacious and bright breakfast room and kitchen present Carrara marble countertops and extensive built-ins for china and crystal storage. A separate family room provides everything needed for today’s lifestyle and includes wonderful storage for library needs. A period-style Dutch door opens from the family room and the kitchen for indoor/outdoor living with an extra-deep rear yard complete with entertainment deck and patio. The home’s sizable dimensions of more than 3,800 square feet comprise 5 bedrooms and 3 full baths arranged over two levels and include two options for a master suite upstairs. 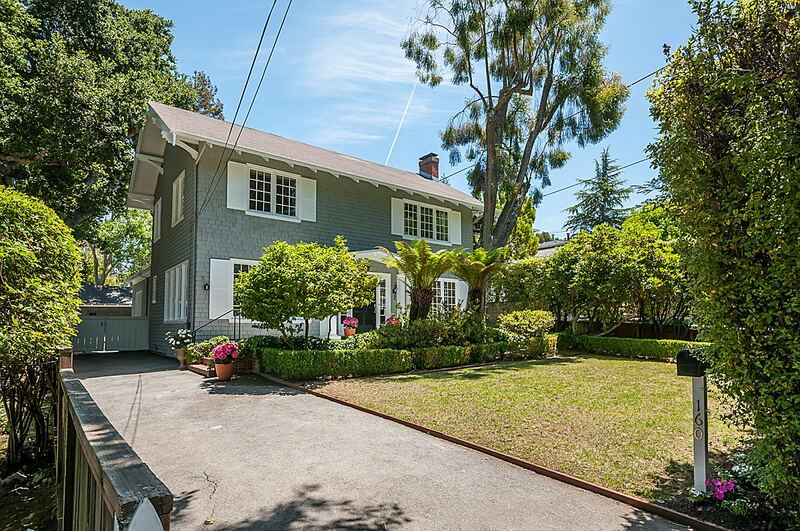 Completing this enchanting home on almost one-quarter acre is its superb location just blocks away from all the fine amenities of downtown shopping and dining on Burlingame Avenue.